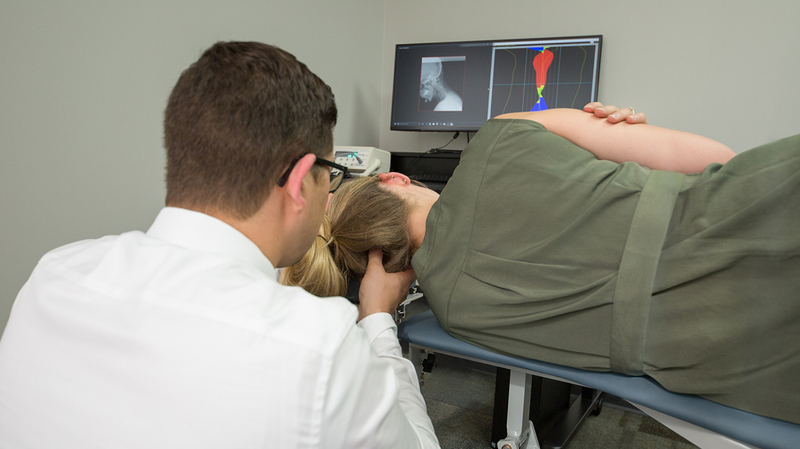 At Connect 33 we specialize in upper cervical care, which is aimed at correcting your entire spine at once. Without any twisting, popping or cracking we work to correct your spine and nerve function and get you back to feeling good. Chiropractic is a profession aimed at restoring nerve function through the correction of the spine. Chiropractors are so focused on the spine because this houses the brain or spinal cord. These life giving messages flow from the brain, through the spine, out to every organ, tissue and cell. It’s these messages that allow the body to function the way we were designed to. Without this communication from the brain, your body isn’t able to adapt the way it’s supposed to and will slowly break down. This break down process can effect you quickly, or very slowly. Either way, you aren’t working the way you’re supposed to. The break down process can then lead to a wide variety of problems (see Effects of the Subluxation). In our clinic, we will be working our hardest to correct your spine and nerve function to enable you to recover from your problems naturally. Without drugs or surgery, we will work to unlock your potential and get you connected with your body. Connect your brain and body with Connect 33. Is based on the premise that if the atlas misaligns, it can cause a wide variety of effects produced from this subluxation. Our promise to you is that we will always stay with the leading research and always be willing to update our methods. We don’t take any guesses here at Connect 33 Chiropractic. Every patient is X-rayed and analyzed to deliver optimal care. We do not manipulate but focus on aligning the spine with the knowledge that once the subluxation is removed the spine will align itself. There will be no twisting, popping or cracking. With objective measurements we apply minimal but effective pressure to your spine. We are here for you and no one else. It is of utmost importance that we provide you the best care we are capable of delivering. At some point in your life, you’ve probably experienced an accident or injury which causes damage to your spine. This damage tears or loosens the ligaments, tendons, and connective tissue holding your spine together allowing it to misalign. As your spine misaligns it places pressure on the nerves causing changes to occur. These changes can have a wide array of effects on the body. These effects eventually lead to a wide variety of symptoms to arise over the course of time. In our office, we do a complete evaluation of your history and a thorough examination to determine whether you are a candidate or not. If you are, we will perform a spinal workup to get a precise idea of what’s happening on the inside. With that knowledge we determine how to fix that and what is needed to keep it in the proper position. Get in touch with us and we would be happy to answer any questions. © 2018 Connect 33 Chiropractic. All Rights Reserved.